There’s a lot of choices when it comes to fast cars. You can go bold and beautiful with Aston Martins and Jaguars, or bold and brash with a Subaru WRX or Focus RS. You can blend a bit of both with a BMW M car or a Mercedes-AMG model or go blue-collar power with a Challenger, Camaro, Mustang or Corvette. What though, if you don’t want to turn heads, particularly those in the law-enforcement industry? Or if you just want to wax some unsuspecting chump's little engine and big exhausts at the lights? Or embarrass people that have dropped some money on a sporty car and now think they’re the king or queen of the road? In the name of economy of scale, Infiniti dropped the 4.5L V8 from the Q45 at the time into the super-bland M40. 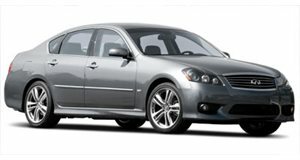 It’s so bland because it’s based on the Japanese-market Nissan Gloria, but the engine pushes out 340 horsepower and 333 lb-ft of torque. 0-60 mph in 6.4 seconds isn’t necessarily spectacular, but that’s a very comfortable place to see your neighbors Civic off from and very cheap to pick up now. In the late 2000s, Subaru offered something a little nutty for the grown-ups. It took a load of the fun stuff from the WRX STI and put it on the Legacy but left off all the over-the-top styling. The standard 2.5GT got 250 horsepower and the spec.B was no different there, but what it did get was sportier suspension with Bilstein gas-charged shocks and a Torsen limited-slip rear differential. What it didn't get was the aggressive body kit that inspires people to add Monster Energy drink stickers. Ultimately, the Legacy 2.5GT spec.B is a keen back road brawler that looks like it sells insurance for a living. 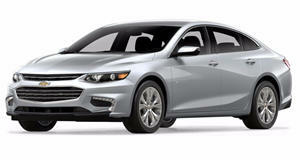 For two model years Chevy decided the Malibu was worthy of the Super Sport treatment. It was a lackluster car in every way, but the addition of a 3.9-liter V6 for the rental special gave it enough of a punch that nowadays its a bargain for a little stealthy fun. 240 horsepower and 240 lb-ft of torque give it enough punch to be playful. Yes, there’s some extra body kit but it’s a mid-2000s Malibu and some dental floss and hairdryer will see to that SS badge, although Joe and Jane Bloggs aren’t going to take that very seriously. 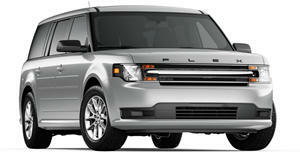 The Ford Flex is one of the stealthiest great buys around. 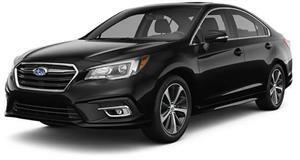 It's a terrific family wagon, but find one with the direct-injected twin-turbocharged EcoBoost and AWD and you have 355 horsepower (370 for 2013 and later models) and 350 lb-ft of torque being thrown at all four wheels. For something that is, to all intents and purposes, a minivan without a sliding door, that's a lot of go. The Volvo S60 was designed to compete with the E46 generation BMW 3 Series but never found that kind of ubiquity through its two generations. The upgraded and sportier S60 R was no M car killer, but it was pretty potent. It came with a Haldex all-wheel-drive system and an adaptable suspension system developed with both Monroe and Ohlins Racing AB, and under the hood there's a turbocharged 2.5-liter inline-five engine. It makes 300 horsepower and around the same in torque and cracks the 0-60 mph in 5.4 seconds. The body kit was an option but only with certain colors, so for those that want to go super-stealthy, there are vanilla S60 R models out there. 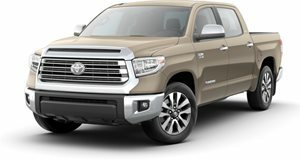 In 2008, Toyota decided it would start selling a supercharger kit for the 5.7-liter V8 Tundra through its dealers. If the kit was installed by the dealer, then the warranty remained intact. A quarter mile time of 1/4 mile in 13.3 seconds at 103.8 mph was recorded by Edmunds and then bettered by Motortrend at 13.0 seconds at 106.3 mph and a 0-60 mph time of 4.4 seconds. Any which way you dice it, that’s hilarious and will embarrass a lot of performance cars from the lights. Just don’t try and keep up with them on twisty bits of road. 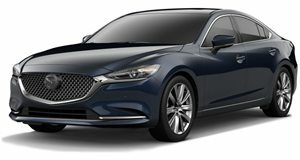 The Mazda6 was a great car for those that didn’t mind a little less space and power than its rivals in North America. However, the Mazdaspeed6 sorted out the power issue with a turbocharged version of the 2.3-liter direct-injection 4-cylinder engine. 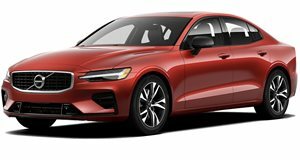 That brought power up to 270 horsepower and 280 lb-ft of torque that was distributed to all four wheels with Mazda’s Active Torque Split system. That gives the Mazdaspeed6 a 0-60 mph time of 5.4 seconds in something that looks quite bland now but is still tack-sharp on the road. It's one of the great unsung hero cars of the mid-2000s. We considered leaving the Marauder off this list because the wheels are a bit too much of a giveaway, but then we figured that anyone wanting one as a sleeper could slap on a cheap set from a Crown Victoria and slide right under the radar as the trim is mostly stolen from the Crown Victoria LX Sport. The Marauder is a true parts-bin car and used the same version of the Ford 4.6-liter Modular V8 as the 2003–2004 Mustang Mach 1 to make 302 horsepower and 318 lb-ft of torque. For someone serious about a sleeper, that’s an engine with a track record of being modified and you also have a suspension setup that makes it handle surprisingly well. Back in 1955, Chrysler introduced the C-300. It came with the FirePower Hemi and was the first mass-production car to make 300 horsepower. No other production cars came near it for a while. In 1957, the 300C made 375 horsepower, and the sleeper car had been born in America. 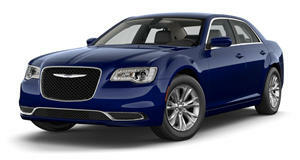 Nowadays, the Chrysler 300 is mainly bought by people that want to look like they have more money than they do. Nobody expects a Chrysler 300 to be quick because they’re mainly bought in V6. The 300C, however, comes with the 5.7 Hemi V8. The 300S also gets the Hemi V8 along with sportier looks to go with a stiffer suspension set up, sharper throttle and steering response, and paddles for changing gear. It doesn’t look anywhere near as aggressive as the SRT version though and cruises under the radar.